Au café (14 x 11 inches, 36 x 28 cm), a stone lithograph print, hand drawn on the stone using greasy lithograph crayons and liquid tusche. 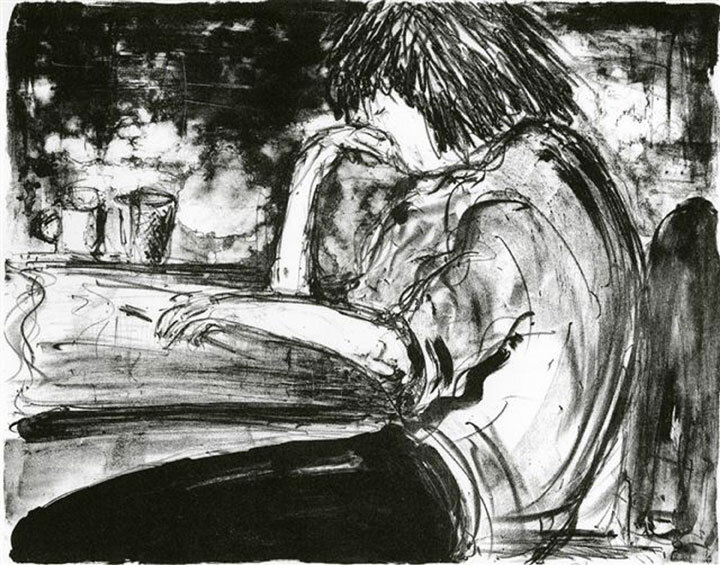 This image of a young man reading in a café was inspired by one of the many sketches that I did of people in cafés. Nice art! The background is definitely great! Good Job!